Before you send out that email, it's best practice to take a few moments to preview and test the email.This lets you double check your content and email layout. There are three ways to review your email prior to sending. The first is from the email draft edit. Below the email edit is a “Preview” button - see image. Clicking this will open a new window and preview how the email will look when it was sent to the recipient. Tip: Resize your browser window to test how your email does with smaller screens to make sure your email is mobile-friendly. 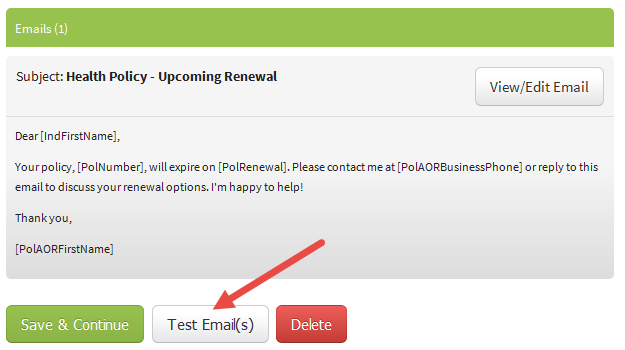 The second is using the Test Email(s) button - see image. Once the email edit draft is saved, clicking the Test Email(s) button will allow you to add and send to your own email address. Type in an email address to receive the “test send” email. Click Save & Test to receive a copy of the email body to that address. This option does not send an email to any recipients, only to the email address you include in the test send. The third preview option of the email is on the Recap & Activate page. This summary page is provided for each email campaign created, which includes a copy of the completed email body draft. 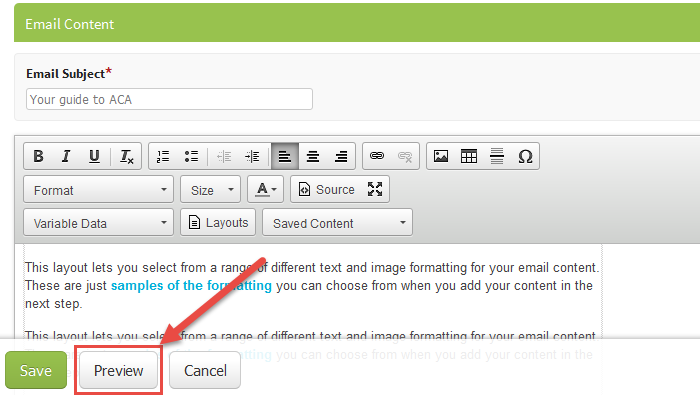 From this page is an option to edit the email draft, if needed, before activating the campaign.